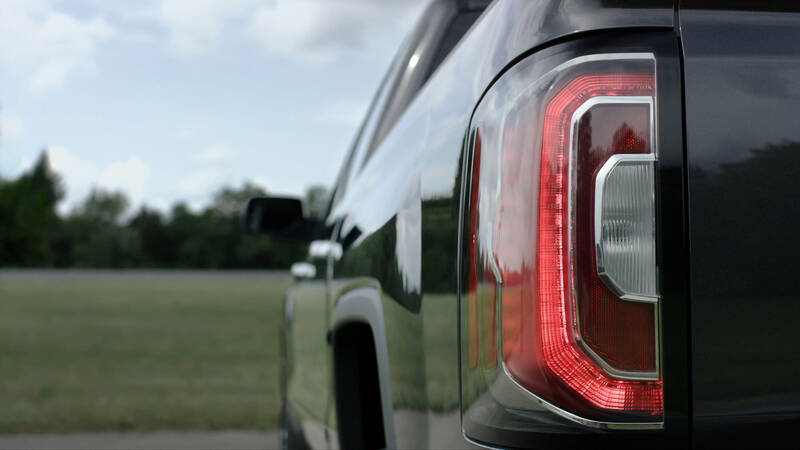 Wallace Chevrolet > GM News > GMC Reveals Updated 2016 Sierra! GMC Reveals Updated 2016 Sierra! GMC has pulled the sheets off an updated version of its hot-selling truck, hot on the heels of the 2016 Chevrolet Silverado revealed just days earlier. Like it’s Chevrolet brethren, the new Sierra features a new front-end that’s been tweaked and tugged in all the right places, revealing a series of new design elements that give it a strong, muscular look. New C-shaped taillamps outback help complete the look. The truck now features new LED “C-shaped” signature daytime running lights, new grills and front fascia for each trim level, new LED fog lamps, new bumpers, while the “C-shaped” light treatment also extends outback to the taillights. We also expect the new Sierra will feature Apple CarPlay and Android Auto, making it easier than ever for occupants to seamlessly connect and use their smartphones on the fly. However, GMC has not formally announced any related news as of yet. With that said, we expect to hear more about the new 2016 Sierra before it arrives Stateside later this year.